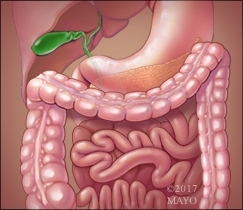 Major advances in understanding the genetic contribution to the development of inflammatory bowel diseases (IBD) have been achieved in the last decade. However, these studies were performed primarily in adults and in children 10 years of age and older, and did not include children with very early-onset IBD (VEO-IBD), diagnosed at younger than 5 years of age. Dr. Konstantino Papadakis, M.D., discusses a study published in Gastroenterology, which investigated whether patients with VEO-IBD carry rare or new variants in genes that might contribute to disease development. This study is critical as it provides a method to identify some of the underlying genetic defects as well as the pathways that contribute to the disease process in VEO-IBD patients. Moreover, these findings highlight the fact that clinicians can begin to individualize treatment to the specific patient, and may allow for targeted therapy in these children. Dr. Papadakis is a gastroenterologist at Mayo Clinic.